This year, we saw one of the most diverse groups of candidates. This year’s midterm elections brought a lot of new members to Congress, many of whom are considered historical firsts. There is a record number of women who won—the previous high was 85 women holding seats in Congress, while this year there were 105 women that won. We saw one of the most diverse groups of candidates, including the first Jewish governor of Colorado. This election marked major accomplishments for many minorities that have often been underrepresented in politics. 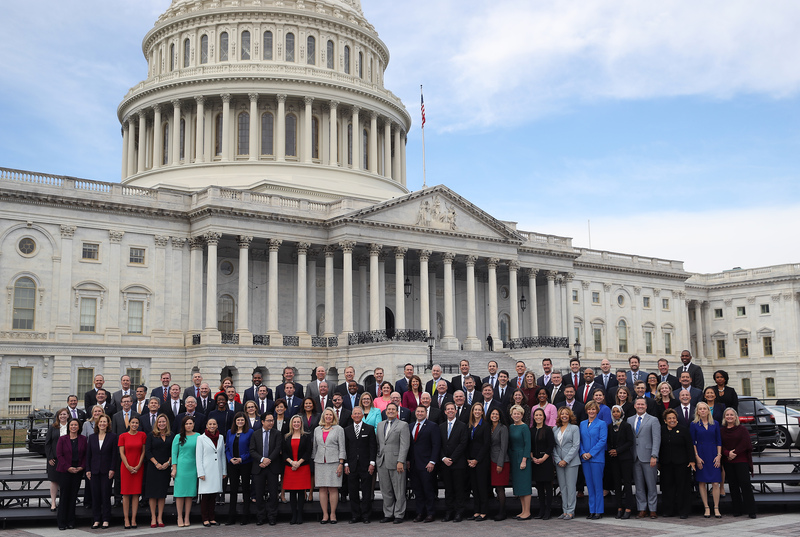 Learn more about some of the newly elected members of Congress of 2018! Blackburn is the first female senator from Tennessee. She was previously a member of the Tennessee Senate and a member of the U.S. House of Representatives. Davids, from Kansas, is one of the first Native American women elected to Congress. She is a member of the Ho-Chunk Nation in Wisconsin. She is also openly gay and was a former MMA fighter before leaving to focus on politics. Haaland is one of the first Native American women elected to Congress. She is from New Mexico and a member of the Laguna Pueblo tribe. Additionally, she was previously the chair of the New Mexico Democratic Party. Hill, a newly-elected member of Congress from California, is openly bisexual. She was the Executive Director of People Assisting the Homeless and helped to end homelessness in California through nonprofit work and raising funds. Mucarsel-Powell is the first Ecuadorian-American to be elected to Congress. She immigrated to the United States when she was 14 from Guayaquil, Ecuador, and has worked with several non-profits over her career. Neguse, from Colorado, is the first Eritrean-American to be elected to Congress. He was born to two immigrant parents, and co-founded New Era Colorado, an organization that helps people get registered to vote and encourages people to be involved in politics and activism. Ocasio-Cortez, from New York, is the youngest woman to be elected to Congress. She was named Person of the Year by the National Hispanic Institute in 2017, and has an asteroid named after her! Omar, who is from Mogadishu, Somalia, is the first Somali-American woman and one of the first Muslim-American women elected to Congress. She spent four years in a refugee camp in Kenya as a child and is also the first member of Congress to wear a hijab. 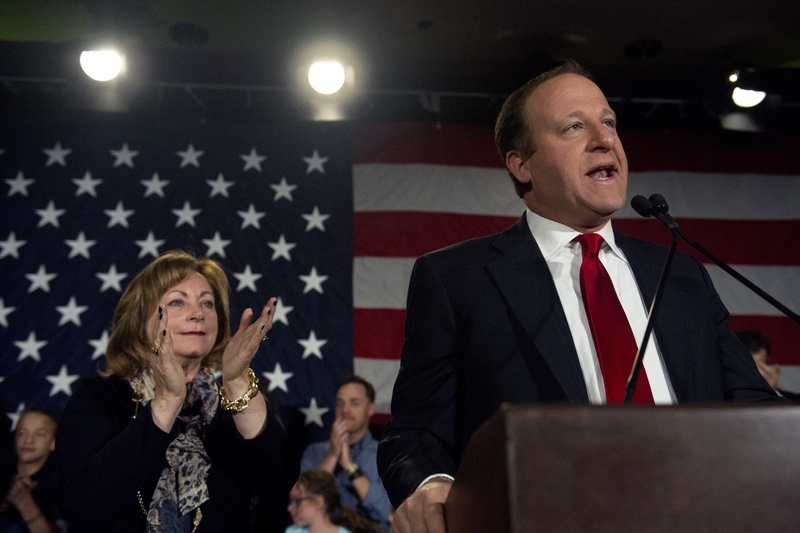 Polis is the first openly gay man elected governor in the United States, as well as the first Jewish governor of Colorado. Born in the state, Polis was previously on the Colorado Board of Education and the U.S. House of Representatives (Joe Neguse succeeded him). In an interview with the Jewish Telegraphic Agency last year, Polis explained how his faith was important to him in his job as governor, saying that he “derive[s] a lot of the values that [he] [tries] to bring into the public sphere from [his] private faith…[he focuses] a lot on education, and [he’s] running for governor to bring [free] preschool and kindergarten to our state [Colorado] and improve our schools, and that’s an important Jewish value.” He has founded several companies including the Jared Polis Foundation, which supports education throughout Colorado. Polis also founded two charter schools, both of which serve at-risk students. One, the New America School, aims to help immigrants adjust to the US and learn skills for success in a different country. Sinema is the first female senator from Arizona. Previously, she was a member of the Arizona House of Representatives, Arizona Senate and the U.S. House of Representatives. She is the first openly bisexual member of the U.S. House of Representatives and the U.S. Senate. Tlaib is one of the first Muslim-American women elected to Congress. Hailing from Detroit, she was previously a member of the Michigan House of Representatives. Trahan is from Massachusetts and is the first Portuguese-American woman elected to Congress. 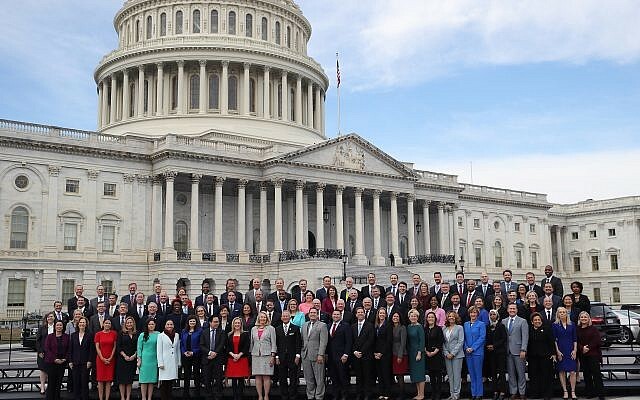 The 2018 midterm elections have brought many new faces and ideas to Washington. It is essential for our nation as a whole—even teens—to understand how our government works and who is representing us. As a heterogeneous country, it is also important to have a diverse representation in politics. Too many people think that they don’t have a voice or that their opinions don’t matter, but this election shows that they do.